To request an inspection and free insulation quote, call Carolina Energy Conservation at 1-855-410-0662 or click below! 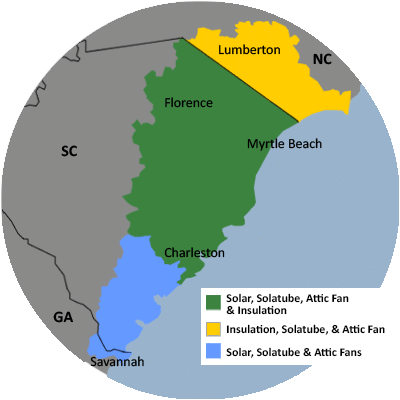 We are your local contractor for high-quality cellulose insulation in Myrtle Beach, Charleston, Sumter and surrounding areas of South Carolina & North Carolina. Carolina Energy Conservation's technicians will help you choose the right type of cellulose insulation for your home. We are Eastern SC's experienced insulation contractor, specializing in attic insulation upgrades and more. Contact us today to schedule your home insulation inspection and free quote. We proudly serve Bluffton, Florence, Mount Pleasant, North Charleston, Darlington, Beaufort, Goose Creek and surrounding areas.